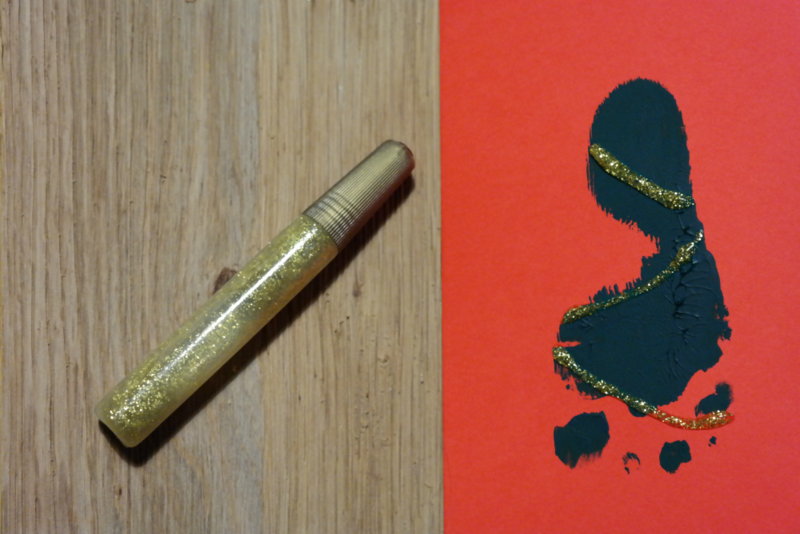 Yes, yes, another craft post. This is what the parenting-Christmas combination does to me, apparently. 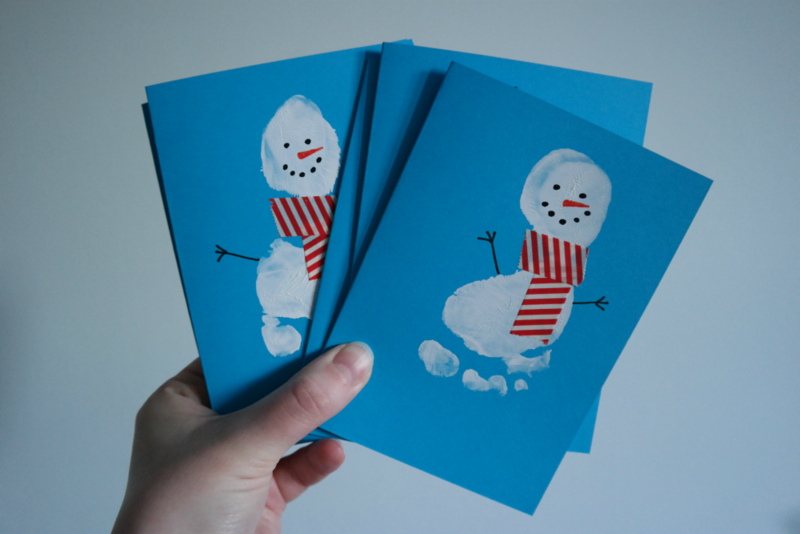 As much as I'm not that fond of cards, I can't get away with being completely bah humbug about them at this time of year - there are certain relatives I send them to (and Steve sends to all of his). 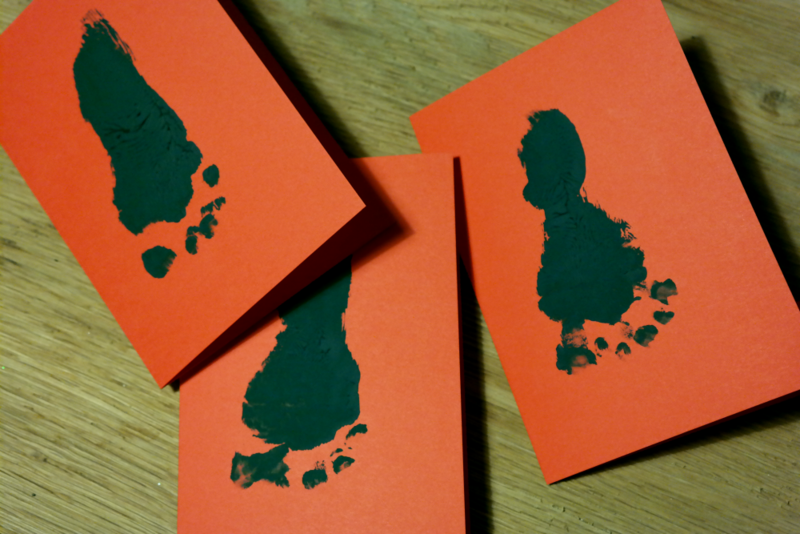 Anyway, this year we decided to make our own: baby footprint Christmas trees and snowmen. We used basically the same footprint technique as for the Halloween ghosts. 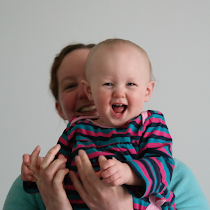 We did consider using Helen's suggestion of strapping the baby into her high chair but we thought she was likely to object to that; instead, we distracted her by popping the Twirlywoos on the telly. 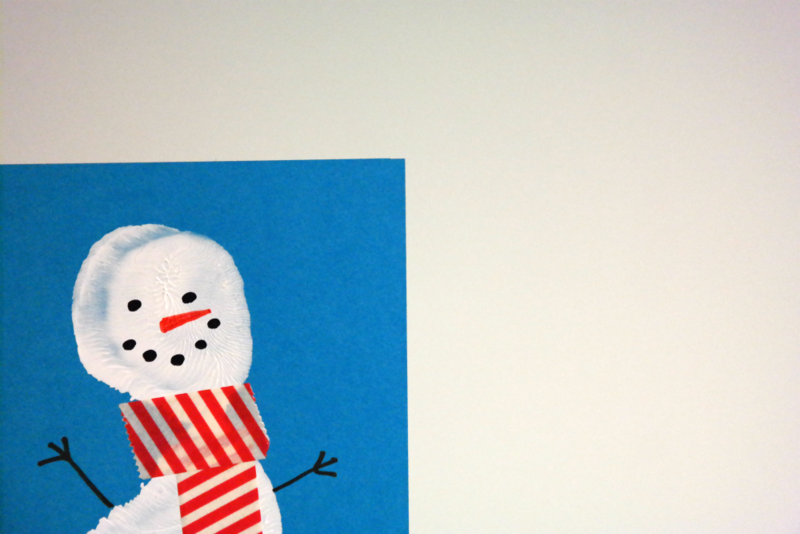 For the snowmen, we made white footprints then drew on faces and arms with Sharpies and added scarves made from washi tape. 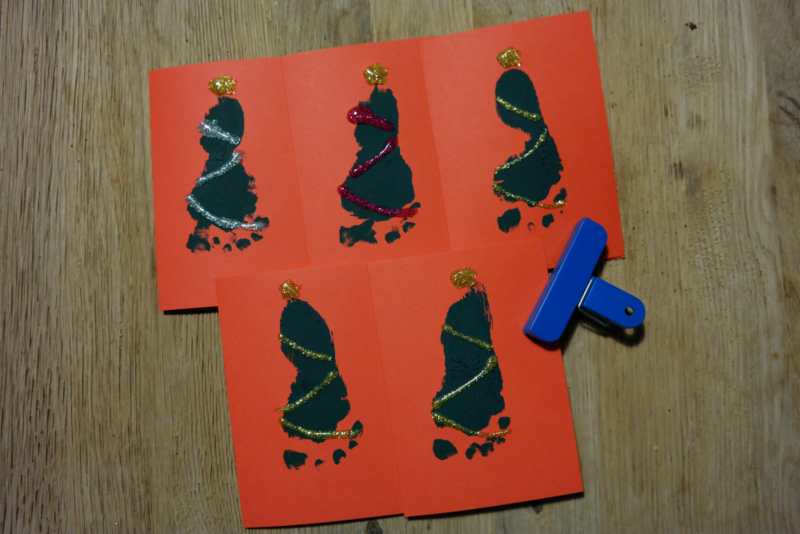 For the Christmas trees, we made green footprints then added tinsel and (very splodgy) stars with glitter glue. The glitter glue was quite runny so we weighted all of the cards closed while it dried. This was such an easy craft and so effective - I'm really pleased we bothered to make the effort. 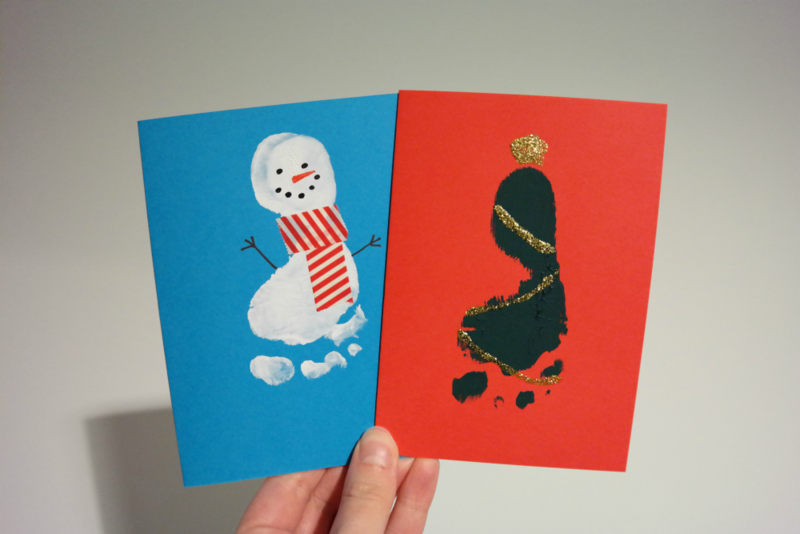 Do you ever make your own cards?